Let me take you on a little journey……. Imagine entering a whole new world. A world where you are weightless, like flying through space. A world of colours so vibrant they awaken all your senses and creatures so impossibly weird, your mind drinks it all in, excited and thirsty, not knowing what to focus on first. Come with me to The Great Barrier Reef to delve beneath its surface and experience this part of the world. The Great Barrier Reef is a place of wonder, so much to explore. From the moment your head goes beneath the water, its like being transported into a dream, a sensory overload. Corals of all colours, shapes and sizes, little fish that hide with in the nooks and cranny’s, their iridescent scales twinkling whilst the sun rays break through the surface. Prepare to see things so extraordinary, your mind can hardly comprehend. It will be overwhelming but so wonderfully calming. Your mind chatter stops, there are no phones down here. You are completely immersed in the present. 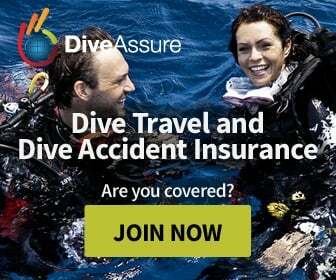 So are you ready to let me take you scuba diving ? We are going to swim along huge walls of reef that stretch in every direction, too deep to see the bottom, and so humbling to be alongside something so awe-inspiringly vast. Find weird and wonderful creatures, like the mesmerising cuttlefish that hovers like a spaceship and changes its colours in flashes and waves whilst its skin texture rises and falls to blend into its surroundings. See the flatworm swim, its body rippling through the water like a magic carpet or a lion fish, beautiful as it fans out its spines like wings and dances amongst the tiny schools of fish surrounding him like confetti. Come with me beneath the water into this whole new world. I would love to share it with you. 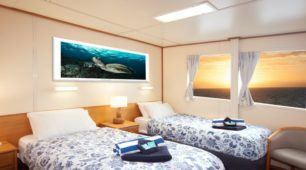 Cairns' #1 rated liveaboard. Unbeatable on service and value! 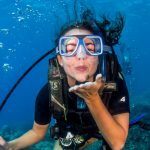 Come snorkeling, scuba diving or do some diving lessons on the Reef. 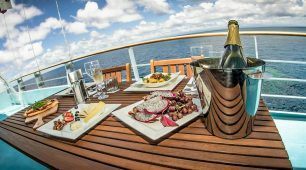 Experience the best with luxurious live aboard accommodation and fantastic service on the Great Barrier Reef. Make your holiday the best it can be.